Kevin Federline Is Father Of The Year. Again. Father’s Day is this month; the 15th, to be exact. It’s a day to honor fathers and remember all the wonderful things they do; like assuming custody when their ex-wife goes insane. 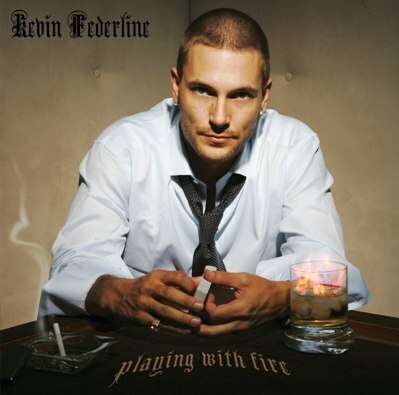 And who does that better than Kevin Federline? No one! That’s who! And Prive Las Vegas agrees. The father of four* will officially be awarded the title of Father of the Year on June 13th during a party that he will be hosting at the club. I was right about Britney losing her kids, so I think it’s safe to assume I’m right about this too. previous post: Rock ‘N’ Roll Legend Bo Diddely Dead At 79.
next post: Paris Hilton Pregnant? Yes. No. Maybe. Okay…has society lowered its standards for parenting skills? Wait….to be honest, I’ve not heard much about Federline’s fathering skills. The fact that he’s stayed out of sight (for the most part) and remained ‘under the radar’ tells me either he’s making good decisions or following good advice. Either way, it’s good but I don’t know that it’s worthy of Father of the Year award. But who parents for get a friggin’ award? As for Barack…I think we’re only getting geared up for round two of MORE political verbiage. Personally, I think it’s a matter of choosing the lesser of two evils come November. 53 queries in 1.902 seconds.